Are you looking for a beautiful beach getaway in Saudi Arabia? Do you want to find out more about beaches where Saudi rules don’t entirely apply? 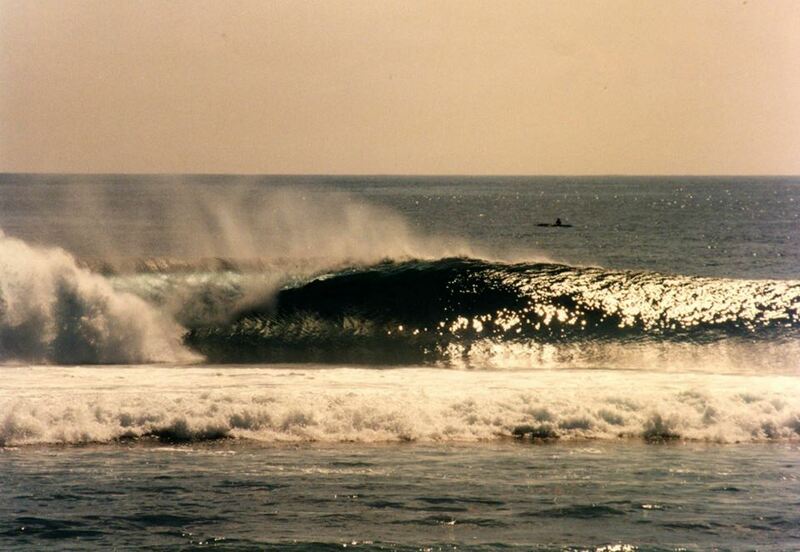 Would you like to know the best beaches to snorkel or surf? Is exploration of some of the lesser known parts of KSA on your bucket list? How about learning about the best place to wear a bikini in Saudi? If the answer to any of these questions is yes, then read this unique article which reveals four amazing secrets along the rarely visited coastline of Saudi Arabia. Some people blindly think Saudi Arabia is just a big desert full of oil. Actually it offers incredible diversity: mountains in the southwest, a massive empty quarter in the south, and large, thriving cities and historical quarters all over the country. Moreover, for the beach lover, it offers even more. Along two lengthy coastlines, Saudi Arabia has some of the most beautiful undeveloped beaches in the world and they might not stay that way for too much longer. The Kingdom’s new heir to the throne has recently announced plans for a huge beach resort in North West Saudi where women can wear bikinis. 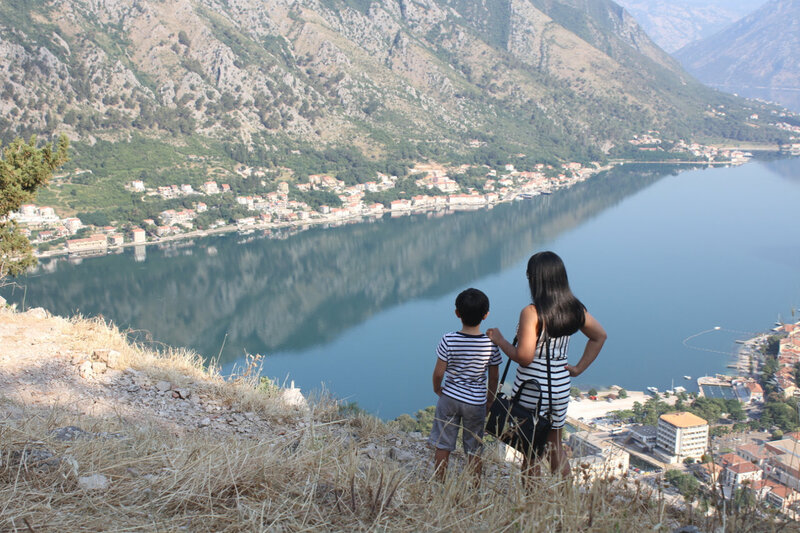 It’s no surprise the young prince chose the north west; this is perhaps the most stunning landscape in his entire Kingdom. While it might take a few years for the Crown Prince’s plans to come to fruition, the coastline of Saudi Arabia has never been closed. During two Saudi work contracts, we have discovered four amazing beaches; two of which you can freely wear a bikini. If you’re in Saudi Arabia today, why not hit the road and explore a country on the verge of immense change. And if you haven’t ever visited Saudi Arabia, you should probably put it on your bucket list for the future. Tourist visas are coming soon! A rugged, largely unexplored coastline awaits anyone with a sense of adventure and willingness to drive to far north west Saudi. Due to the lack of tourism, abundant fish and intact coral reefs cram the shoreline. In contrast to neighbouring Egypt, there isn’t anyone sunbathing on Haql’s glorious white sand beaches or diving offshore. A couple of years back, a few of us spent a magical week in complete awe of this place. What’s stopping you from exploring this unique region too? – To get to Haql, you need to fly from Riyadh or Jeddah to Tabuk. Book directly with Flynas or Saudia Airlines or use skyscanner to find the cheapest options. After that, just rent a car and drive north on route 15 to Bir Ibn Hirmas. 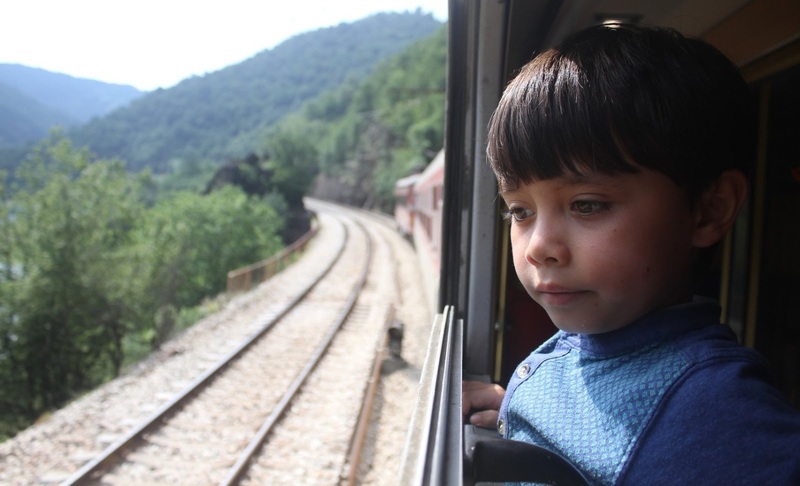 Then take route 5 through spectacular mountain scenery to Alsharaf and Haql. 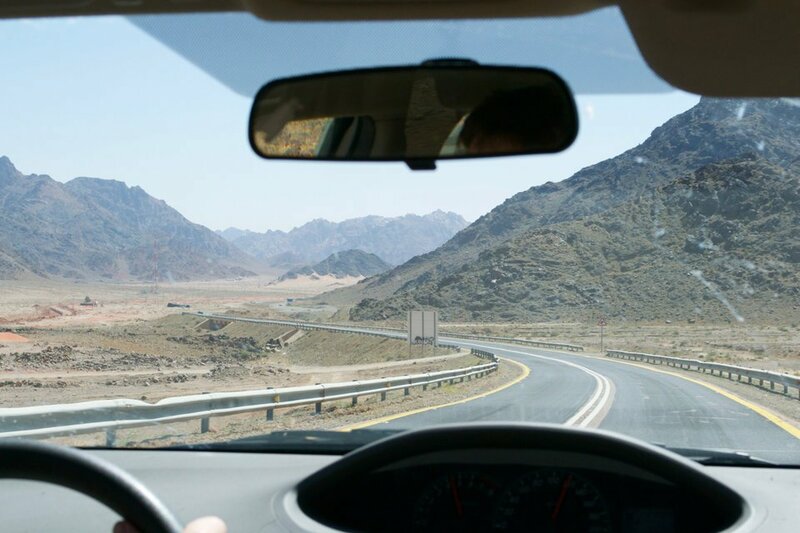 – Alternatively, drive the whole 1103 km from Jeddah to Haql, along coastal route 5. – To stay overnight a cheap option for men is bringing a tent. 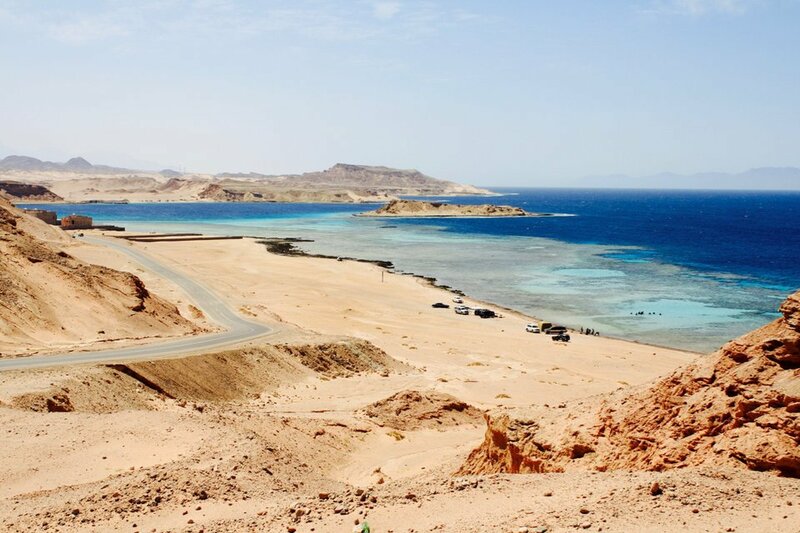 You can camp freely on the beaches about 10-15 km south and wake up to the moon setting over Egypt. This experience alone is worth a thousand dollars. – Families and women would probably feel safer checking into a resort in Haql itself. There are a few options in town. 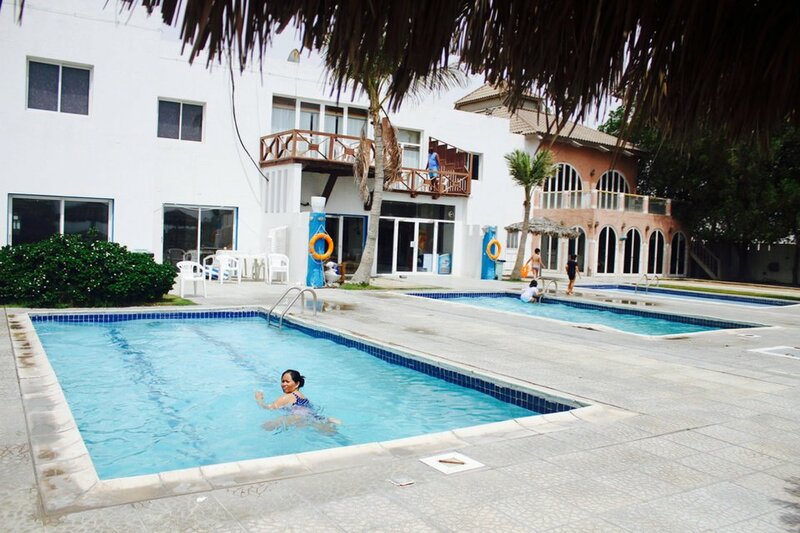 For example, Bita Resort has a beach front location, a swimming pool and slides. 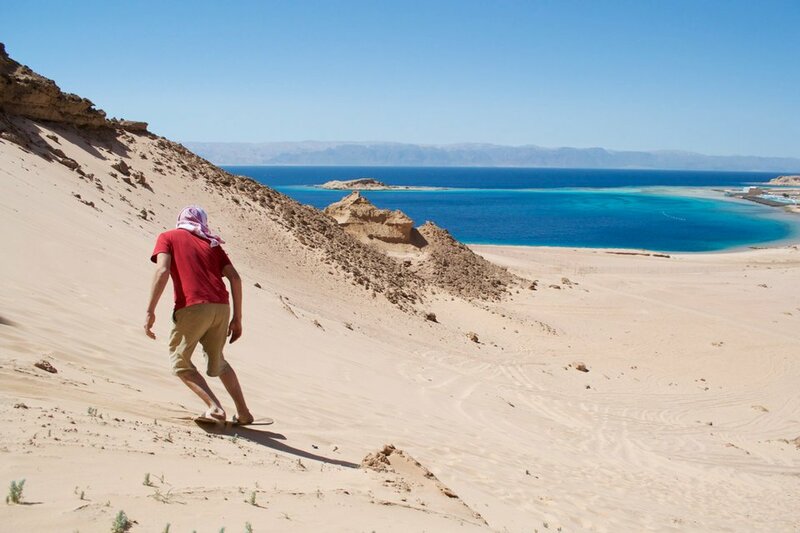 – Best things to do in Haql: bring a sand board and slide the slopes, bring a snorkel and mask and explore pristine reefs beneath the sea, sunbathe, swim out to the small island, sample numerous restaurants in town, and enjoy distant views into Jordan, Israel and Egypt from Haql’s main promenade. If you’re looking for a compound beach where Saudi rules do not apply, look no further than Silversands Beach. Situated in North Obhur, Jeddah, it’s our go-to beach to feel like we’re outside the Kingdom for a few hours. The perfect white sand, cute little island, decent facilities and reasonable day rate combine to make Silversands the best expatriate beach in Saudi Arabia. 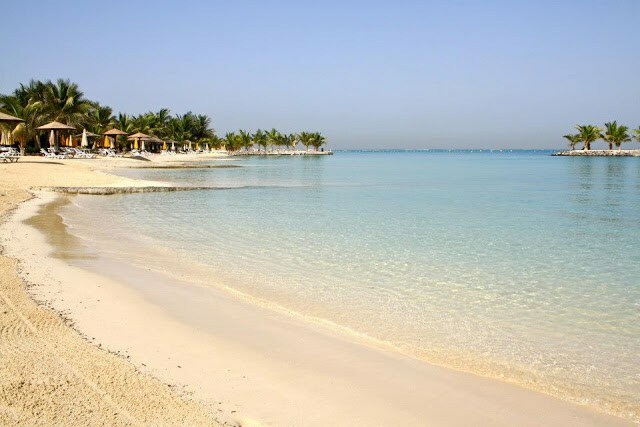 The next time you pass through Jeddah, why don’t you drop by Silversands to soak up some Red Sea sunshine? – To get to Jeddah, take an internal flight from Riyadh with Flynas or Saudia Airlines or use skyscanner to find the cheapest international options. Jeddah Airport is penciled in as the most likely hub for future visa-free travel to Saudi Arabia’s Red Sea delights, but you can already fly to Jeddah direct with British Airways and most Middle East carriers. – Silversands is located in North Obhur, 45km north of Old Town Jeddah. To get there, drive out of Mecca Road and head north. After that, turn left towards North Obhur. When you hit the coast road, you’ll go past a Pizza Hut; from there just drive 1km further north, where you’ll see a blue gate with a small window to the left side. No sign will guide you in, just a small hand painted ‘Private Residence’ on the wall in English and Arabic. – Silversands’ management charges 100 SAR per person, per day. It does not permit entry to Arab nationals or some other non-European passport holders. It also has bungalows available on yearly leases. – Saudi rules do not apply inside Silversands compound, so this is probably the best beach to wear a bikini in the whole country. 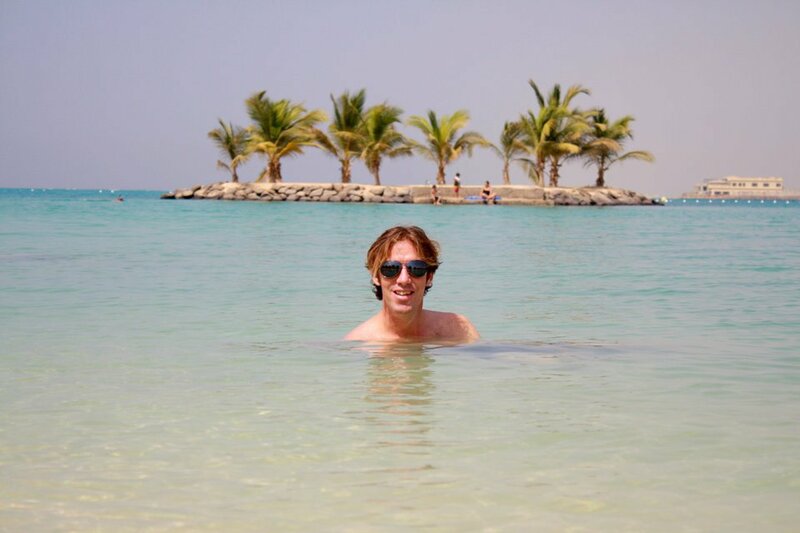 – Best things to do at Silversands: rent a jet ski, swim out to the small man-made island, sunbathe on its perfect, imported sand, sample the rustic restaurant, and enjoy life outside of Saudi rules for a few hours. In a region hardly known for beauty or cleanliness, Khafji beach is an anomaly. Turquoise seas lap gently over its pristine white sand. 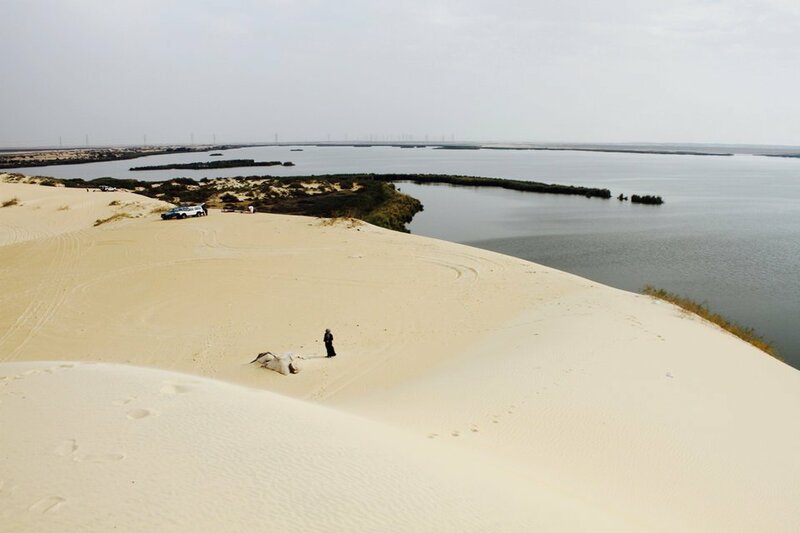 Situated just 15 km from the Kuwait border, Khafji is a perfect beach getaway from crowded Dammam. While much of the Arabian Gulf is sadly polluted, Khafji beach is clean and well looked after. It’s particularly ideal for Muslim families as Saudi rules apply here. Therefore, women can only swim wearing their abayas. Interestingly, in fierce winter storms, the Arabian Gulf whips up significant wind swell and Khafji is one of the best places to surf in Saudi. If you live in the polluted cities of Dammam or Jubail, why don’t you take a drive up the coast for a beach day in the rarely visited city of Khafji? – To get to Al Khafji, drive up the coast highway from Dammam (3 hours) or take the cross country road from Riyadh (4.5 hours). The closest airport is either Dammam or Kuwait City. 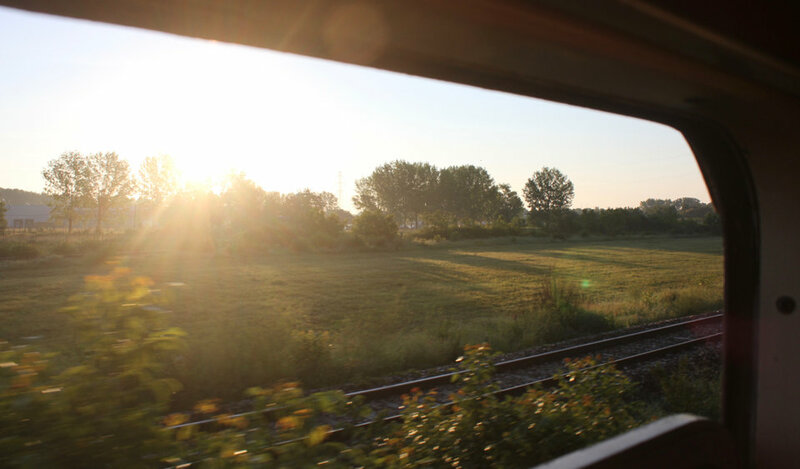 – To stay overnight, there are a few options. For example, InTour – Al Khafji offers comfortable rooms in a convenient location. Situated in the heart of the city, some of the best restaurants are within walking distance. 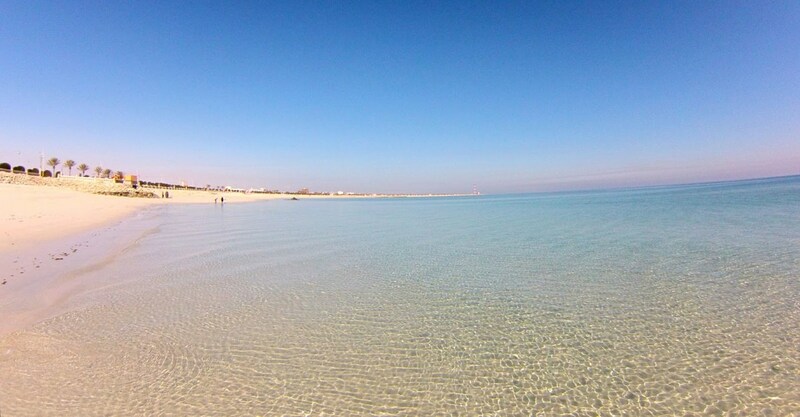 Khafji corniche beach is 3km away, but you can swim at water tower beach less than 1km walk. – Saudi rules apply on Khafji Beach. Men can swim freely in swimming shorts (above the knee is fine), but women must keep their abayas on. It’s quite a conservative town where almost all the women wear the niqab, so a hijab is advisable too. 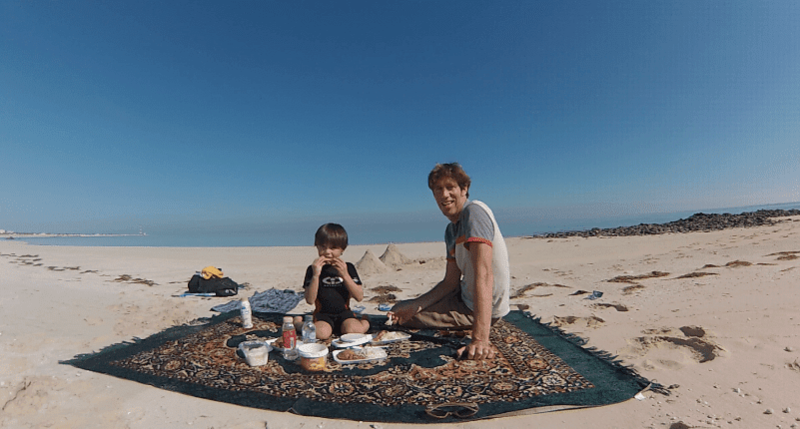 – Best things to do in Khafji: build a sand castle, swim and snorkel the crystal clear seas, bring a surf board and surf the waves of an Arabian storm, sample numerous restaurants in the city, and take a side trip to Kuwait City, a short 2 hour drive away. Baher Villas is the probably the best beach to escape Saudi rules in the Eastern Provinces, unless you live in a private compound. While you find all nationalities mixing here, it’s particularly popular with expatriate workers from the Philippines. Although the beach itself is quite average, there are three swimming pools, a restaurant, plenty of seats, umbrellas and a rustic wooden walkway perfect for photo shoots. Baher Villas is far from a natural paradise, but it provides an awesome day outside of Saudi rules where you can mix freely and wear what you want. If you live in the Eastern Provinces, this is an ideal spot to get away from the stresses of Saudi life. 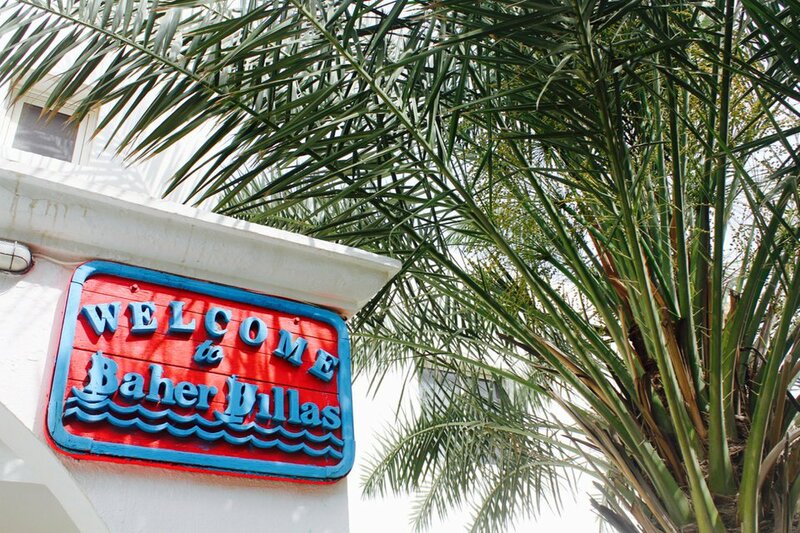 Why don’t you check out Baher Villas soon? – To get to Dammam, take an internal flight from Riyadh with Flynas or Saudia Airlines or use skyscanner to find the cheapest international options. You can fly to Dammam direct with British Airways and most Middle East carriers. – Baher Villas is located in Half Moon Bay area, 60km south of Dammam. To get there, use a GPS or google maps. Once you get to Half Moon Bay, it’s fairly easy to find and you will be able to see its sign from the highway. – Baher Villas costs 100 SAR per person, per day. It is particularly popular with Filipinos, but does not permit entry to Arab nationals. It also has large rooms available for 1000 SAR per night. – Saudi rules do not apply inside Baher Villas compound, so this is the best beach to wear a bikini in the Eastern Provinces.